Note: You can also use this plugin to translate plugin specific strings!! Change your default WordPress language by going to Settings > General. If you do not see the option below, you will need to update your WordPress. 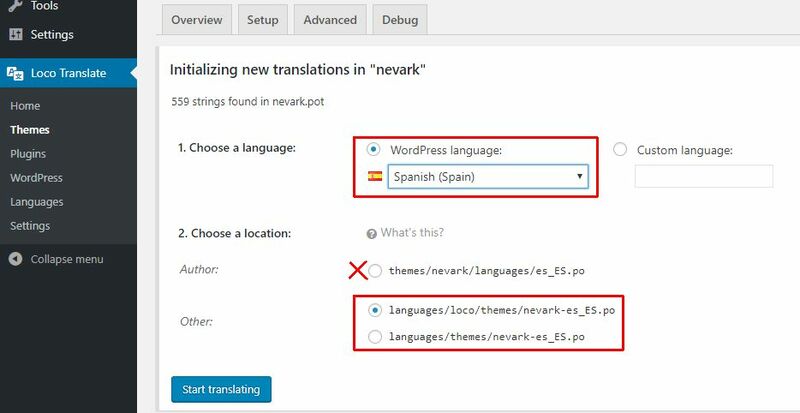 If you have translated your site in the past for previous WordPress versions (which used wp-config.php to init translation), then you will need to remove the translation code from your wp-config file. Select your language in the next screen. We highly recommend using the global directory to store your translations. This way you wont lose your translations when you update the theme or WordPress. When translating, remember to Sync your file the first time. After this, you need to sync the file only when you update the theme.